The SaverLife platform is designed to allow for maximum flexibility in order to help working families save. This includes allowing Savers to choose any type of financial account to save in. With over 20,000 SaverLife Savers, EARN wanted to understand if the account types Savers choose correspond to success on the SaverLife platform, defined as saving $20 in a given month. 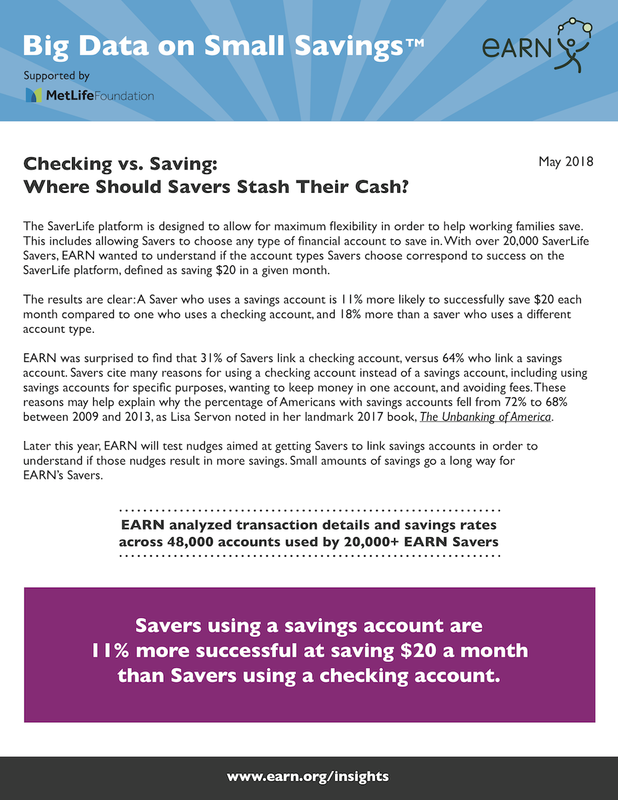 The results are clear: A Saver who uses a savings account is 11% more likely to successfully save $20 each month compared to one who uses a checking account, and 18% more than a saver who uses a different account type. 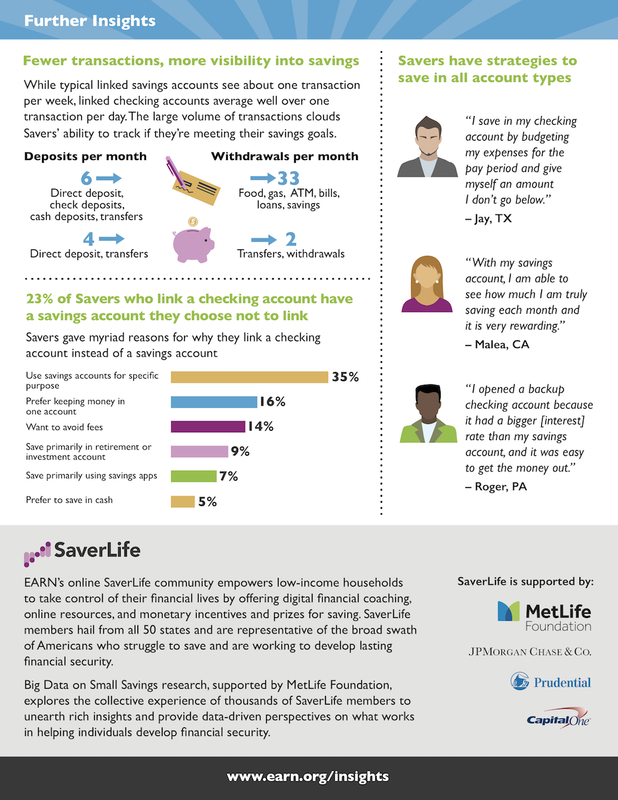 EARN was surprised to find that 31% of Savers link a checking account, versus 64% who link a savings account. Savers cite many reasons for using a checking account instead of a savings account, including using savings accounts for specific purposes, wanting to keep money in one account, and avoiding fees. These reasons may help explain why the percentage of Americans with savings accounts fell from 72% to 68% between 2009 and 2013, as Lisa Servon noted in her landmark 2017 book, The Unbanking of America. Later this year, EARN will test nudges aimed at getting Savers to link savings accounts in order to understand if those nudges result in more savings. Small amounts of savings go a long way for EARN’s Savers.